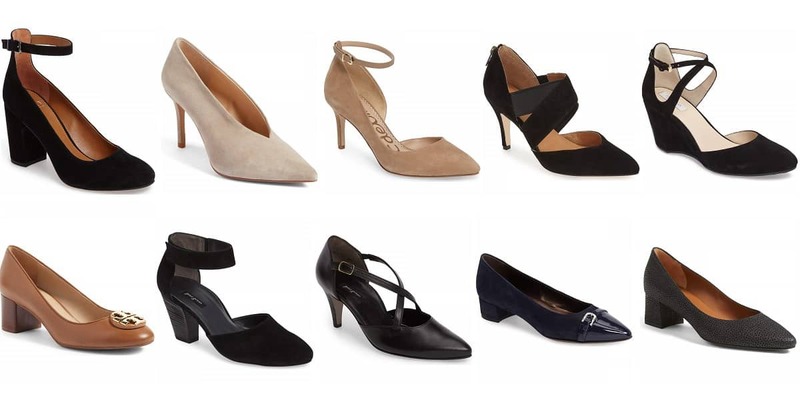 I keep going back to the Nordstrom Anniversary Sale and finding more and more stuff (I’m personally on order #4 I think now, sigh) — but the shoes are really great for work. Tons of things that will be cute with tights, pantyhose, or bare legs — with skirts, dresses, or pants. We’ve rounded up the best shoes for work from the 2017 Nordstrom Anniversary Sale — which are your favorites, ladies? Updated 8/3! Anything that only has a few sizes left has been marked with an asterisk — if you like it, you may want to move fast! Psst: you can see our earlier workwear picks here! Note that there’s only a few more days of Early Access — the sale opens to the public on July 21. There are so many awesome heels and pumps in the NAS this year — I’m drooling over a ton of them. Booties have come a long way, and I’m seeing new “stepped topline” details like in several ones here. Know your office (and personal style best), but in my opinion the best booties for the office have a dark heel that doesn’t look very wood grainy, which automatically takes a lot of the lighter colored options. The booties pictured below are currently $99-$349, but they’ll be $160 – $525 after the sale ends. So many cute waterproof shoes — these can be great for a commute, particularly if you live in a place with puddles, slush and more! (Including the black dotted pumps at top and the second black bootie pictured above!) There are also some great basic Hunters and other snow boots in the sale if you want something more rugged/functional for your commute. 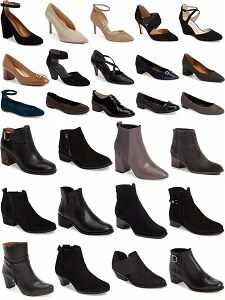 Ladies, what have you gotten thus far at the 2017 Nordstrom Anniversary Sale? As packages start to arrive, share your reviews with us! is it just me or is that graphic a veritable parade of frump?! Agree. I like one or two of the booties, but all of the heels and flats look dated to me. Kat, these are great, but I perfer the 4″ pumps from Ivanka! She is much taller then me to start with, and with 4″ pump’s, she is as tall as Jared. Why can’t I find a guy like that to MARRY me? FOOEY!